The Evaluation Elf on the Shelf: Get your 2017 data entered! It’s me, your friendly research associate Emily Becher. 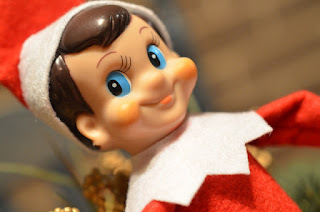 As we enter this season of cozy sweaters and delicious food, one of the traditions I’ve started to celebrate with my children is “The Elf on the Shelf.” For those of you who are unfamiliar, this is a small doll with an accompanying book that parents can use around the holiday season to promote good behavior. 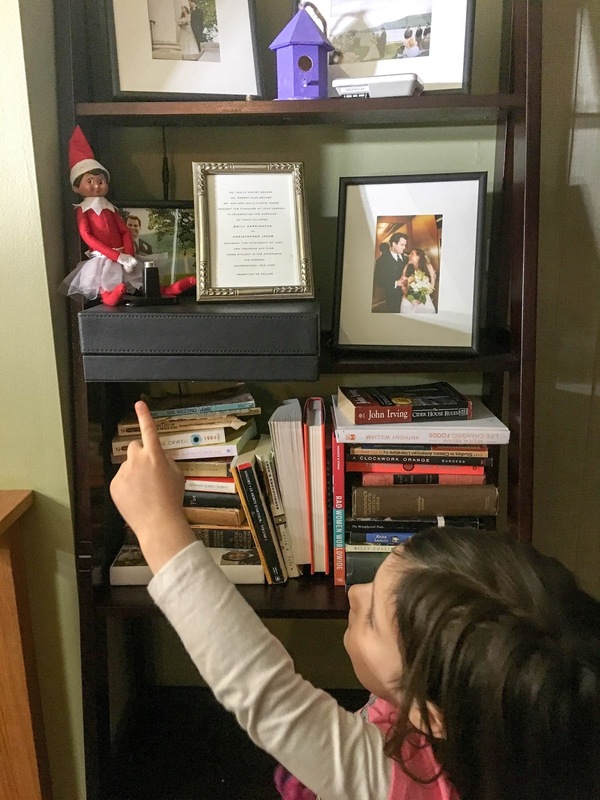 Parents move the elf around different locations in the house during the night, and in the morning the children find where the elf is now located (usually doing something silly like hanging upside down from the refrigerator or making a sprinkle angel). In a similar vein, think of me as Emily, Your Evaluation Elf on the Shelf. As federal reporting season approaches, I will start popping up in different ways to remind you that all of your data for annual year 2017 needs to be entered by Tuesday, January 16, 2018. Many of you won’t be teaching classes the last couple weeks of December due to participants’ busy lives and schedules. That gives you an ideal opportunity to get a head start on your data entry. If you need support, talk to your supervisor now, before we get closer to the deadline. If you don’t think you can make the deadline for data entry, talk to your supervisor and let me know so I can wait for your data to do my federal reporting data magic. If you have some kind of evaluation data that doesn’t fit in SEEDS, Webineers, or FD-RED (Family Development Reporting and Evaluation Database), but it’s in a spreadsheet or a Qualtrics survey, email me the data (and share the survey with me) and cc your supervisor so they know I have it. If you enter your data into SEEDS or Webineers, i.e. SNAP-Ed or EFNEP, your evaluation data are already taken care of and you can ignore this FD-RED discussion. Use “2017 Annual Report” as the subject line. If the full questions are not listed in the attached spreadsheet or report, attach the evaluation tool as well. Cc your supervisor so they can track what evaluation data have already been sent. Remember: I need these evaluation data because I have to report to our federal funders how well we met the mark on a series of indicators. I desperately need your evaluation data to tell that story. My dear FD colleagues, I encourage you to get a head start because I will be sending out a supplemental survey at the beginning of January that asks about all the “extra” information I need for the federal report. If you want to get a head start on pulling that information together, you can find that survey here: FD Supplemental Survey 2017 (PDF). I am going to use a different strategy this year for the supplemental survey: I’m going to email it out to everyone in FD using Qualtrics and then even if you don’t have data to report, I’m asking you to say you don’t have data to report, which should take less than 30 seconds. If you say you still have data to report, you are going to get a reminder sometime in early January to remind you to get that data entered. I’m doing this because every year I have last-minute data given to me. I don’t mind getting last-minute information because it enriches the report, but please give me a heads-up that you might send more information later. When I get last minute data that I wasn’t expecting, it means I have to re-do our numbers. I think last year I re-did our numbers… 20 times? So I’m hoping by sending out the supplemental survey this way, it will prompt data entry (or letting me know data will be coming in later) for anyone who has forgotten. Remember, the goal of federal reporting is to get the story of your awesome work out there. You do incredible work and I am very proud and grateful to support you. So thank you in advance for getting your data in on time (or letting me know if it won’t be), so I can tell your story even better.